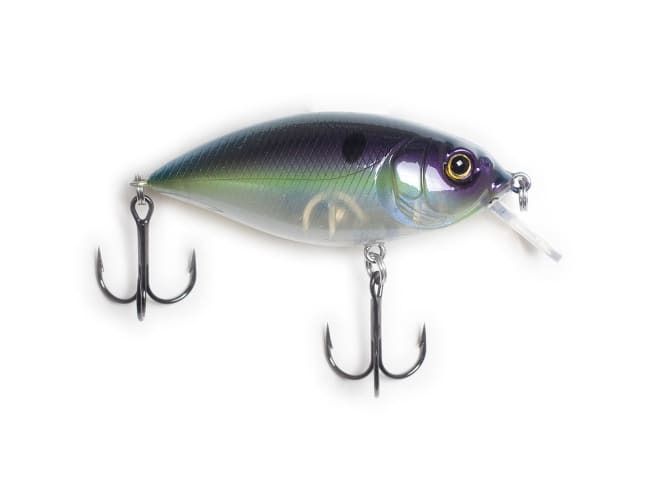 The Karl’s Amazing Baits Wedge is a coffin-bill bait to offer unique action between a squarebill and normal crank. Unlike your standard squarebill, Karl’s Amazing Baits Wedge has a diamond-shaped lip which creates fish catching action the second your start winding this puppy home. The streamlined body shape helps this lure swim effortlessly through the water column while looking like a snack to any passing bass. The coffin-bill allows you to burn it back quickly, as it will stand up while you fish it along the bottom seeking out a mondo bite! Pro Tips: As a shallow crankbait, the Wedge works best when fished over the tops of grass, around docks and laydowns, or along rocky banks. This bait can be retrieved at any speed to change up the retrieve until you find what the bass are looking for.